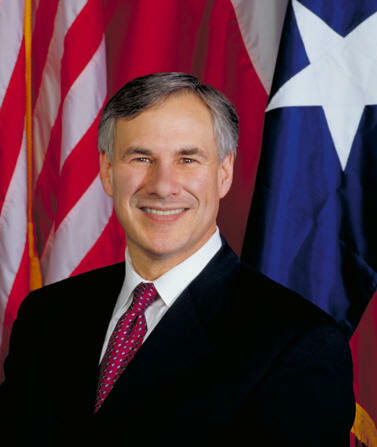 Texas Ban on Abortion Funding Resumes - TX AG Greg Abbott Wins Federal Appeal! Just yesterday I posted that Texas Attorney General Greg Abbott Abbott was Appealing an Austin Judge's Ruling to Block Planned Parenthood Tax Funding Ban. This meant that Texas would be forced to give tax money to baby killers, or shut down the Women's Health Program entirely. Gregg Abbott worked fast and within 24 hours, he got the 5th Circuit Federal Court of Appeals to overturn this Austin Judges decision to block the ban. This means that Texas can keep withholding tax money from baby killer abortion providers like Planned Parenthood. A federal appeals court has blocked an order by a federal judge in Austin, Texas, to resume funding Planned Parenthood. Texas' legislature voted last year to block use of tax dollars for medical services for poor women for any organization associated with abortion -- meaning Planned Parenthood lost funding. On Monday, U.S. District Judge Lee Yeakel, a George W. Bush appointee, ordered the state to resume funding Planned Parenthood, saying there is sufficient evidence that the law banning the abortion-provider from the state's Women's Health Program is unconstitutional. But Joe Poyman of the Texas Alliance for Life tells OneNewsNow the state appealed that order and won. "The Fifth Circuit Court of Appeals has just intervened and stayed that judge's order," he informs, "and the policy now will go into effect -- meaning that as of today, May 1, the Medicaid Women's Health Program dollars will not go to Planned Parenthood. Judge Yaekel's order involved $17 million a year that had been going to the abortion provider for such services as mammograms. Planned Parenthood has no mammogram machines and only refers women to facilities that do. "But this recent development from the Fifth Circuit is very encouraging and, I think, gives the state more time to present our arguments, which I think are strong and persuasive," states Poyman. "Basically our dollars should not be mixed with Planned Parenthood's advocacy and providing of abortions." The Fifth Circuit's order remains in effect pending outcome of the case. It would be helpful for you to brush up on accurate medical info. Some Planned Parenthood clinics absolutely do own mobile mammography screening units. Others, as you mentioned, refer out to imaging centers. JUST AS EVERYONE ELSE DOES. Honestly. Is it that hard to get the facts right? Do you think the clinics Abbott intends on funding have mammography imaging? LOL !! Some of them don't even have air conditioning. ALL general practice/gynecological providers refer mammograms out to imaging centers. Hello? Planned Parenthood is one of them - only with grant funding, they can also absorb the cost of that test. Like all other providers, they only refer when a manual exam indicates a sign of trouble. Then they provide the patient with a code that the imaging center uses to bill the referring physician or clinic. PLEASE stop perpetuating this ridiculous meme. Your headline is ridiculous. How many times do you people need to be told that no public funding is used for abortions?